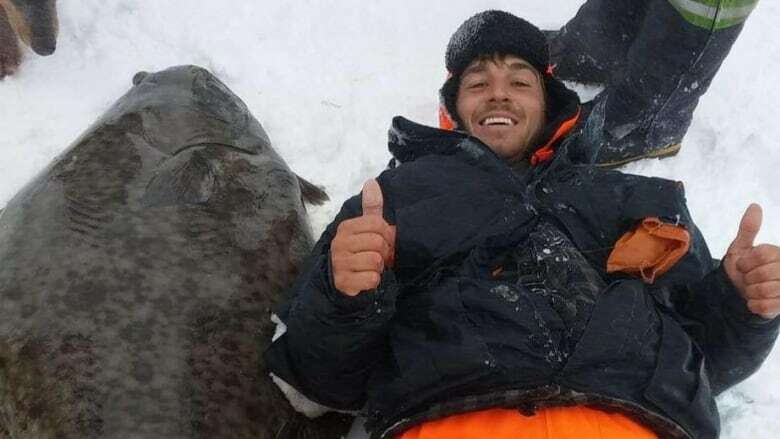 An ice fisherman in the Saguenay region had the catch of a lifetime on Saturday when he reeled in a 70-kilogram halibut. 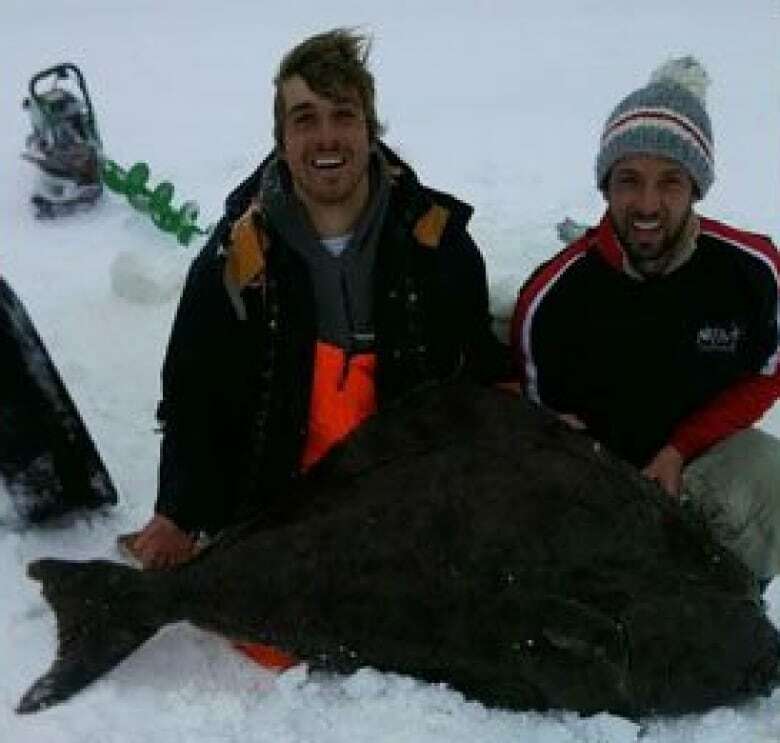 An ice fisherman in the Saguenay region had the catch of a lifetime on Saturday when he reeled in a 70-kilogram Atlantic halibut. 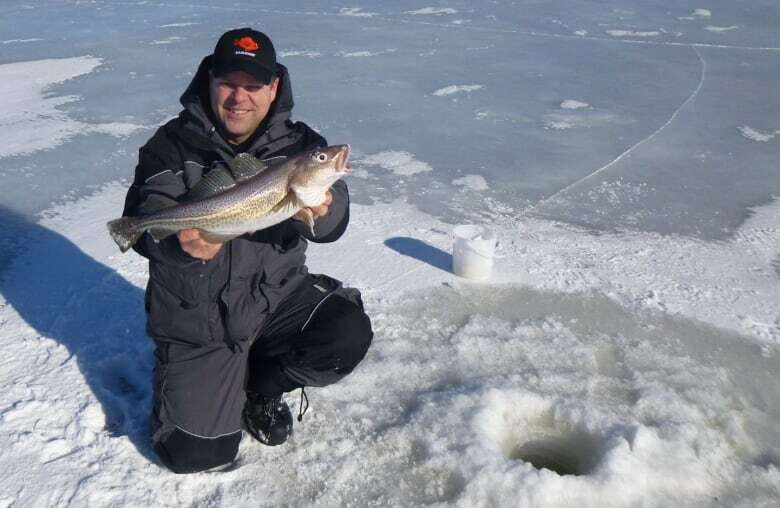 Charles Gagnon-Brassard went out for a typical day of ice fishing on the Baie des Ha! Ha! but he knew he'd made a big catch when a fish pulled his line with way more force than usual . Gagnon-Brassard spent more than two hours struggling to reel it in. He managed to reel it up to the fish hole five times, but each time, the fish decided it wasn't quite ready to be caught and plunged back down into the water. "We are used to catching fish that are a maximum 10 to 12 pounds," Gagnon-Brassard said. It may have been the catch of a lifetime but this halibut was released back in the water, after a few photos were snapped as proof. (Facebook)"So once it passes 50, 60, 70 pounds, the force is unimaginable." Once he managed to get the fish on land, he discovered it was a 70-kilogram (approximately 150-pound) Atlantic halibut — a type of halibut listed as an endangered species on the Red List of the International Union for Conservation of Nature, but not considered at risk under COSEWIC (Committee on the Status of Endangered Wildlife in Canada). "I couldn't keep it. I found it beautiful," Gagnon-Brassard said. "Leaving it in the water was just normal." Gagnon-Brassard said he had no qualms about releasing the fish back into the water but not before snapping a few unforgettable photos. Rémi Aubin, who runs a hunting and fishing store in La Baie, said people have been talking of nothing else but the giant catch. "This is very big for us," Aubin said. "We have never seen that here. The word spread, fishermen are dreaming about it. It's a great fishing tale." He said the phone lines at local outfitters are ringing off the hook with people calling to see if they could be the second or third person to catch a fish this size. Aubin said he is happy there is a photo of the catch, but he hopes anyone who snags one in the future leaves it in the water. Only commercial fishermen in the St. Lawrence River are allowed to catch Atlantic halibut.